Keep your sensitive files and folders secure. Is there a better alternative to Mac Security Bundle? Is Mac Security Bundle really the best app in Security category? Will Mac Security Bundle work good on macOS 10.13.4? 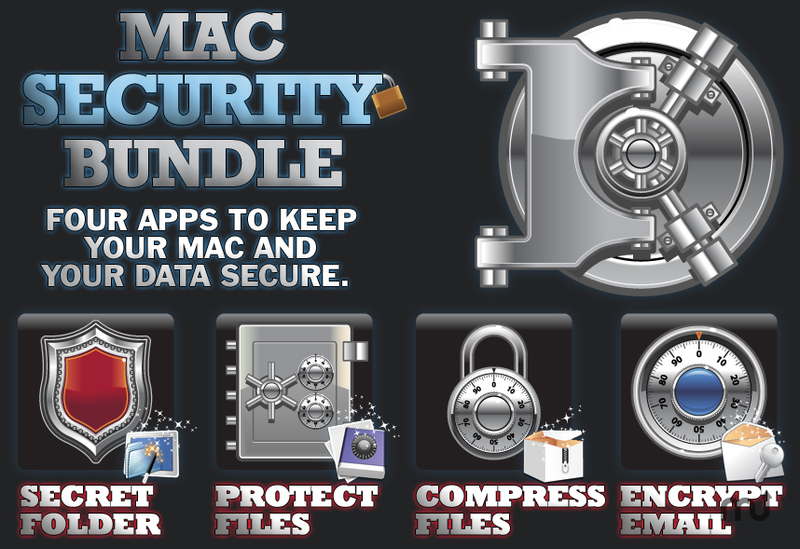 The Mac Security Bundle from Apimac helps you keep your Mac and your sensitive data secure with four apps that will easily hide and encrypt your files, folders and even emails! Secret Folder for Mac constitutes the perfect solution if you wish to prevent occasional users of your Mac from viewing, opening, or changing files or documents while browsing the contents of your hard drive. Protect Files for Mac is the perfect solution should you need to password-encrypt your data and prevent any illegitimate or malicious use by others. Compress Files for Mac is the ideal solution for those wishing to compress and store sensitive files, send them via e-mail or store them securely on a hard drive or external media. Encrypt Email for Mac is the easiest means to send secure emails. Mac recipients will receive a password-protected DMG file while Windows and Linux users can be sent a password-protected ZIP file. The user should communicate privately the password to the intended recipients to allow them to read the message's text and view any attachments.